Elizabeth (ABJ ’06, BS ’06) and Joey (ABJ ’05) Powell give to support Grady’s future. 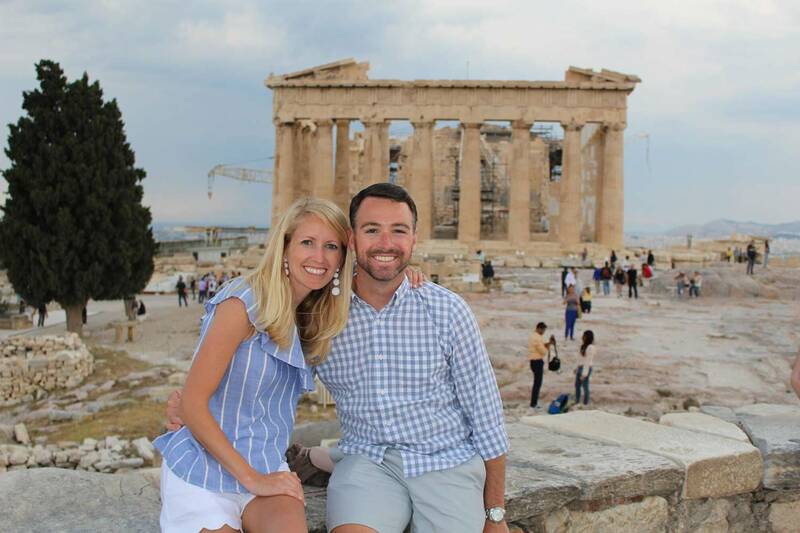 Elizabeth (ABJ ’06, BS ’06) and Joey (ABJ ’05) Powell are proud UGA graduates. Their hands-on learning experiences at Grady propelled their careers in public relations and advertising forward. The Powells give to Grady to help students pursue their professional passions without financial worries. Joey and Elizabeth also give their time as volunteers with The Red & Black and the Metro Atlanta Young Alumni Leadership Council, respectively. 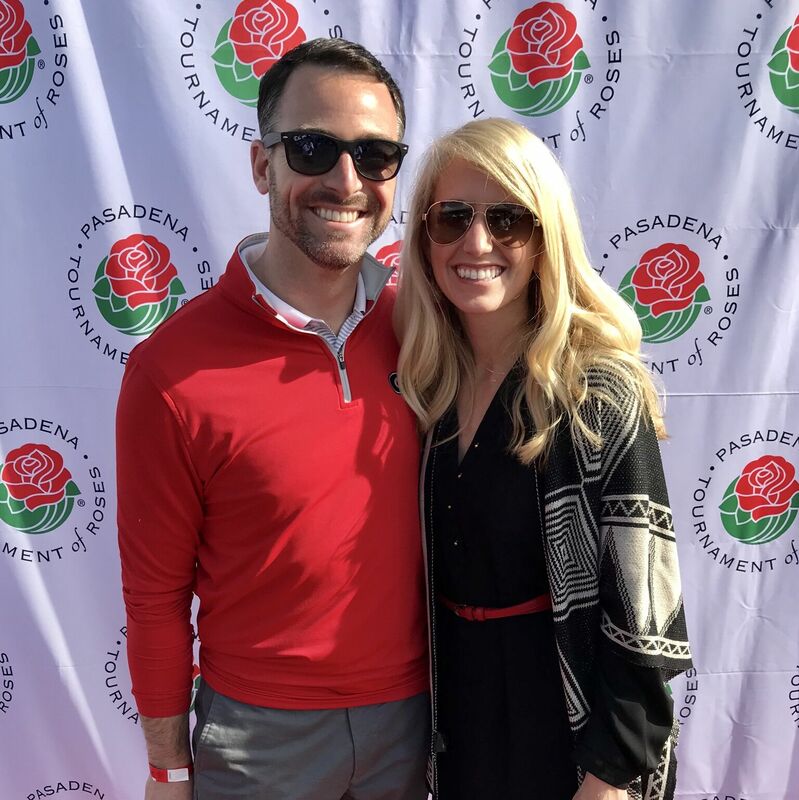 After celebrating the Georgia Bulldogs’ 2018 Rose Bowl victory, Elizabeth and Joey Powell found themselves exchanging “Go Dawgs!” with a flood of fans on a Los Angeles boardwalk. As proud alumni, they were reminded of the collective power of the University of Georgia. “Not just in Athens, not just in Atlanta, but across the U.S., it’s incredible to have that feeling that you are always a Bulldog wherever you go,” said Elizabeth. Elizabeth and Joey both earned degrees from UGA’s Grady College of Journalism and Mass Communication. Today, they enjoy careers in public relations and advertising and attribute their success to Grady’s hands-on learning opportunities. The Powells give to Grady so that students can pursue their professional passions without financial worries. “We both owe a great deal to Grady. It’s nice to be able to give back to the college that helped us get to where we are today,” Joey said. 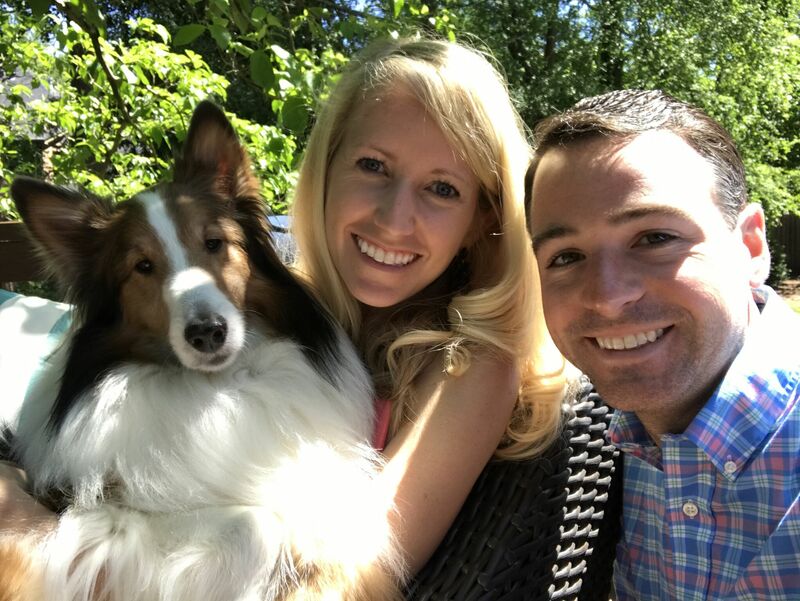 The Powells with their pup, Murphy. By giving to the Georgia Fund for Grady, the Powells hope to support students whose career choices may otherwise be limited by financial struggles. The fund allows Grady to respond to student needs, such as scholarships, new technology and networking opportunities. “Thanks to scholarships and family support, we were able to graduate without student loans. I know we are very fortunate to be able to say that. We want to do as much as we can for students who don’t have that opportunity, so they can pursue their dream careers without the stress of paying off extensive loans,” Elizabeth said. The Powells exploring the other Athens – visiting Greece in 2017. Joey and Elizabeth preparing to cheer the Dawgs on to victory at the 2018 Rose Bowl. As students, Elizabeth and Joey’s hands-on learning experiences gave them a head start in their careers. Elizabeth’s interest in psychology was enhanced by a degree in public relations, allowing her to apply her understanding of how the mind works to everyday life. She used both majors as a member of UGA’s Public Relations Student Society of America chapter, where she served as a PR consultant for the student-run agency. In his second year at UGA, Joey started working for The Red & Black, cold-calling classified advertisers. He rose in the ranks to eventually serve as student ad manager. Joey “fell in love with the chase” of advertising sales and “the rest is history.” He has worked in advertising since graduation. “Through the Red & Black, I got fantastic hands-on experience in customer service and business that ultimately helped me land my first job after graduation,” Joey said. Today, the Powells put the passion and knowledge they gained at Grady to work every day. As a senior associate director of development services at Emory University, Elizabeth uses her skills to show the impact of donations to the university through storytelling and event planning. As advertising director at the Atlanta Business Chronicle, Joey helps businesses grow their brand through print and digital advertising and event partnerships. In addition to donating to their alma mater, the Powells are passionate about volunteering. Joey serves as the advertising committee chair on The Red & Black’s Board of Directors. He offers a “real-world, professional perspective” and mentoring opportunities for students in the advertising department. Elizabeth serves on the Metro Atlanta Young Alumni Leadership Council and its communications and outreach committee, through which she spreads awareness about upcoming events and initiatives to bring Bulldogs in the area together.